Silica supplement, Umo, water soluble silicon, liquid silica health Supplements has amazing health benefits, such as: beautiful hair, firm skin, strong nails, connective tissues and more other benefits. Silica supplement, silica promotes healthy bone, connective tissue and helps prevent premature aging, cardiovascular and Alzheimer’s diseases. The product is 99% active silicon enriched water soluble nutritional ionized liquid. it contains crystal active silicon and other minerals. 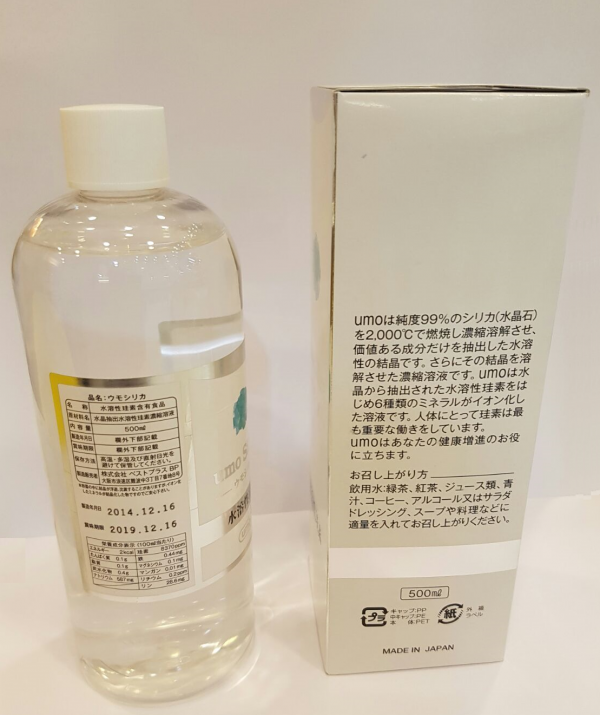 Umo Silica is the result of extensive research and development by The Japan Medical Science Institute of Silicon since year 2000 & has been sold in Japan since 2007,over one billion bottles were sold in Japan monthly. How to use the Umo Silica? 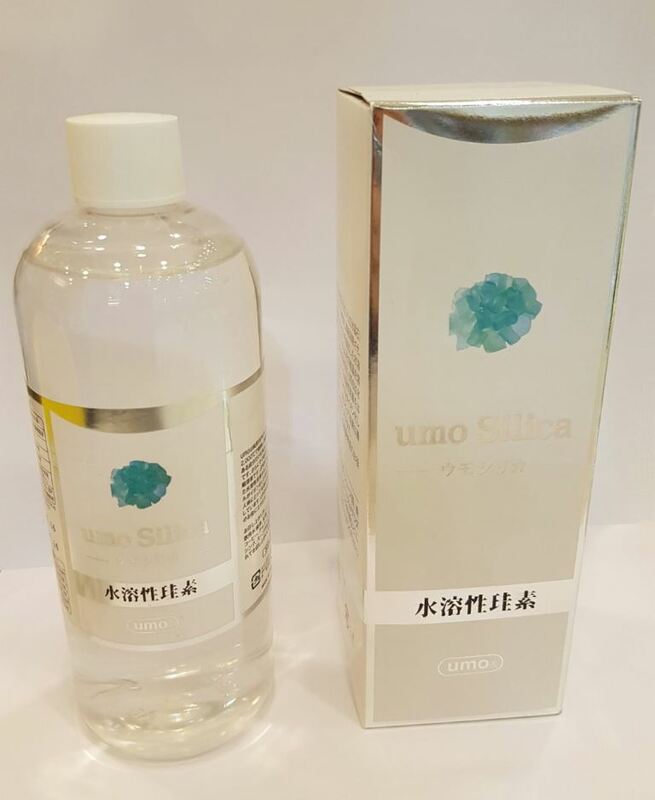 Umo Silica liquid can be added into drinking water, drinks, wine, beer, soup or food, (a few drops a time), and can be applied externally to reduce wrinkle and achieve best cosmetic effects for skin, hair and nail, scar, etc. There are Great Health Benefits of Umo silica for those who encounter serious illness such as acidity in blood, High Blood pressure, diabetes and even essential for daily usage to detoxify herbicide, enhance the healthy growth of hairs, reduce wrinkles, better cosmetic effects, allergy, pain relief & etc. Silica supplement, silica promotes healthy bone, connective tissue and helps prevent premature aging, cardiovascular and Alzheimer’s diseases. Silica has amazing health benefits, such as beautiful hair, firm skin, strong nails, connective tissues, and more other benefits. Still have question to ask? please leave your message on our contact page, we will get back to you soon. 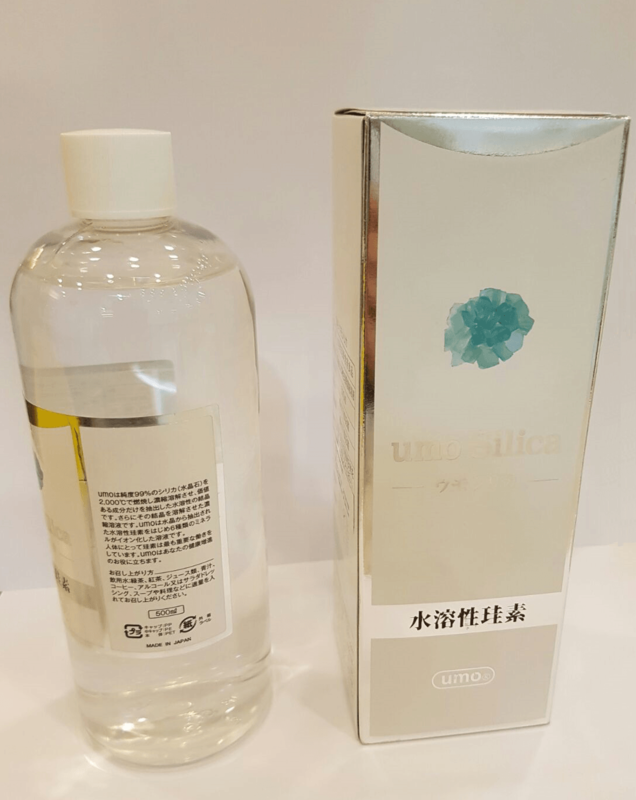 This package is much cheaper than the double umo rich one and with less concentration of silica, but I like it, bought 3 bottle for CNY gift. Good!